First question I like to ask someone who debates the importance of nutrition is- ‘what exactly do you think your body is made up of?”. Proteins, sugars, fats, vitamins and minerals (i.e the food that you eat) is what makes all of the cells in your body. Without adequate nutrition, it is physically impossible for your body to function the way it should. You will never have as much energy, feel as happy, digest food as well, sleep well or feel as good as you should be able to without proper nutritional intake. The importance of nutrition is more than just eating well- it takes into account living a healthy lifestyle, as well as exercise, stress management and limiting toxic load. 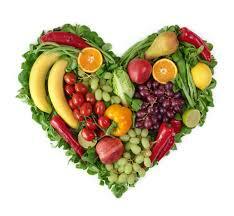 The meaning of good nutrition seems to be ‘new’ to some people but has been known since 400 B.C. Hippocrates said, “Let food be your medicine and medicine be your food.” This is a great statement pointing out that what we eat has a direct effect on how we feel and our health. Heart disease is one of Australia’s largest health problems, along with stroke, diabetes and obesity. ALL of these most common medical conditions are directly related to your diet and nutrition and can be prevented by eating well. Eating right is among the most important foundations of health. Good nutrition should be a key part of everyone’s daily lifestyle. I believe the most important areas of good nutrition are balance and variety. You need to eat a wide range of foods to access all the nutrients your body needs. To help keep your body healthy, it is vital to have the right balance of protein, fat and carbohydrates. These are the building blocks of cellular metabolism and energy production. You also need a balanced intake of antioxidants, minerals and vitamins and these needs are based on your current health state, therefore can vary from individual to individual. This is why professional nutritional advice is so important- what you need might be different from the nutritional needs of others. It is important to include a variety of different foods to make sure you aren’t eating the same thing-there isn’t one single super food that covers all nutrients! Too much food can result in excess weight and even too much of certain nutrients, while eating too little can lead to numerous nutrient deficiencies and low body mass. I believe in a diet based with the 80:20 rule, 80% of the time eating foods to nourish and 20% nurture your body. This is a balanced approach to nutritional medicine (and allows for a few naughty treats). Eating like this reduces the intake of processed, high sugar, fat and salty foods- all of which contain limited nutrients.